The marketplace has become increasingly competitive for hiring in 2017. With unemployment hovering around 4.4% (a stark contrast to the 10% seen at the height of the recession in 2009), employers are finding it tougher to find top talent. Because of these business realities, many employers have shifted focus to existing employees, concentrating on increasing employee productivity, satisfaction and retention through employee development. This makes business sense: the return on investment is high in an organization with better trained workforces, making the organizations more competitive in the global marketplace. Encouraging employees to reach their full potential allows the organization as a whole to thrive and to evolve. An organization shoud renew its focus on nurturing employee growth, especially by tapping into the various competencies and talents that make diverse employees succeed. Employers should invest in an employee’s learning and development journey by crafting a system of initiatives that complements and bolsters organizational goals. While it is true that, often, promotions and raises are in short supply, a number of other growth rewards may be available to employees. A savvy employer should focus on opportunities and perks that are available for an employee’s personal and career growth, and not highlight what may not be available. Informal and formal secondary roles that add experiences for employees across the organization. While many employee development opportunities may require increased investment on the part of the organization, there are many options for cost-cutting and fiscal responsibility. For example, while traveling to a regional site for training can be a cost- and time-prohibitive exercise for many employees and supervisors, opting for on-site training sessions or making available interactive online learning tools will make growth opportunities more accessible to employees. A requirement that employees share their development experiences with others adds to the return on a company’s investment. Employees should be encouraged to communicate their experiences with peers or across teams. One option is to encourage informal “lunch and learns” or conference calls with smaller groups that share similar interests, in order to explore how the workers will build on and apply their new skills, abilities or knowledge. Sometimes, high potential employees are hesitant regarding stretch assignments or opportunities. Often the behavior is a manifestation of a particular personality type, such as an introvert questioning whether a sales manager position would make sense for their career. Other times it’s a fear of the unknown. Supervisors should encourage recalcitrant employees with respect to growth rewards or opportunities by pushing them to try for new heights, but also providing the necessary net for workers to break their falls. Often, a supervisor or more senior manager may identify a particular quality that would make the employee particularly valuable in another role. By providing for learning activities, openly discussing career options, and showing an employee support by being a resource during the employee’s learning curve, a supervisor may make all the difference in advancing an employee’s career. This is particularly important for employers who want to promote from within and reap the rewards from their investments in particular employees. Success is contagious: by seeing a peer thrive and grow, other employees will aspire to similar heights. Communicating with employees early and often regarding career development opportunities within the organization cements the employer’s commitment to its workforce and to overall growth. Career pathing options, training policies and procedures, and other stretch opportunities should be shared with employees. A business should communicate any open positions or opportunities to its employees, with a view to encouraging employee growth. Keeping internal job postings available for extended periods allows for awareness, discussion and exploration of possible opportunities within the team. Structured talent management may also be advisable: making the discussion of career development complementary to performance management discussions allows for the natural conversation around strengths and challenges to yield opportunities for training, coaching or special work assignments. An excellent method to actively listen to employees is to implement an employee referral program. An employer may encourage employees to refer qualified applicants for open positions. In this way, the employer acknowledges that employees comprise one of the best sources of new talent, and that their opinions are valued. At a time of the employer’s discretion (say, after the new hire’s one-year anniversary), the employer may then reward the referring employee with a bonus for the new hire recommendation. The practice also encourages employees to regularly peruse internal postings, perhaps noticing a good lateral, stretch or advancement opportunity that would further or enhance their own careers. Of course, to ensure fairness, an employer should not overly rely on an employee referral system for hiring candidates at the expense of greater diversity, or if the practice results in failing to consider qualified candidates with protected characteristics. When employees perceive fairness in an organization’s practices, they tend to be more satisfied in their existing roles, and will also begin to stretch (or consider stretching) into different challenges. Deep, meaningful development conversations cannot happen in an atmosphere of mistrust. 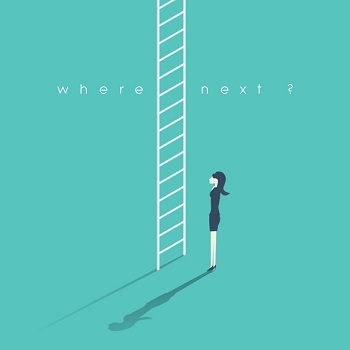 An employee needs to feel comfortable in reaching for new heights, knowing that the organization will provide support and assistance with any new endeavors. Therefore, an employer should invest in company-wide initiatives that emphasize growth, such as implementing individual employee development plans and holding employees and supervisors accountable for their own individual aspects of the career development journey (e.g., employees share their interests and strengths, and supervisors guide employees to possible projects and provide feedback). A career development opportunity cannot be a guise for failure or frustration. If it is, affected employees and their peers will take note and abandon any plans to stretch or grow within the organization. Instead, the workers will be looking for growth outside the company as quickly as an opportunity presents itself. And they’ll probably share their experiences with others, potentially hurting an employer’s brand.